How does a collapsible straw work? The Last Straw for Promo Swag. The collapsible reusable straw stands poised to be one of the largest selling promotional products and b2b swag of 2018/2019. What is a collapsible drinking straw? 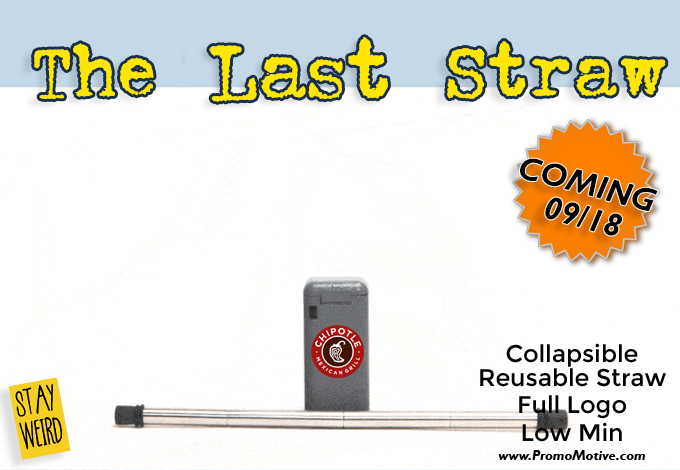 The collapsible drinking straw was first conceived as a Kickstarter offering that went beyond the wildest expectations with an oversubscription rate approaching 15000%! What is a collapsible straw? There’s a lot of talk now about reducing our plastic use by banning straws and the promotional products industry is listening. Sometime it’s not convenient to take a long straw around with you, especially as it will get dirty in your bag. This is what makes this invention is the world’s first collapsible, reusable straw – and it folds down into a handy case that clips onto your keychain, so you can take it anywhere. Don’t worry – it comes with a tiny cleaning rod, which also fits into the case. Freaking Genius! Coming to Promo in the Fall of 2018! The Last Straw is the final straw you and your clients will ever need. The collapsible straw comes on a keychain and is fully reusable. The promotional product industry is going gaga over this idea. Prices, availability and all info will be released in the fall of 2018. For further info email us. https://promocrunch.com/wp-content/uploads/2019/01/Logoheader1800x130.jpg 0 0 admin https://promocrunch.com/wp-content/uploads/2019/01/Logoheader1800x130.jpg admin2018-06-09 01:20:052018-06-09 01:20:09How does a collapsible straw work? The Last Straw for Promo Swag. LOOKING TO CREATE A MARKETING MASTERPIECE? TURN YOUR PRODUCT OR IDEA INTO A CUSTOM SHAPED FLASH DRIVE! For nearly a decade Promo Crunch has been seen by the experts in the promotional product marketing business as the place to go for custom shaped flash drives. Over the many years we have produced literally 1000’s of unique designs including planes, trains, trucks, buses and just about anything you can imagine. TO SEE JUST HOW AWESOME THESE DESIGNS ARE…CLICK HERE TO CHECK OUT A GOOGLE IMAGE SEARCH RESULT-AMAZING! 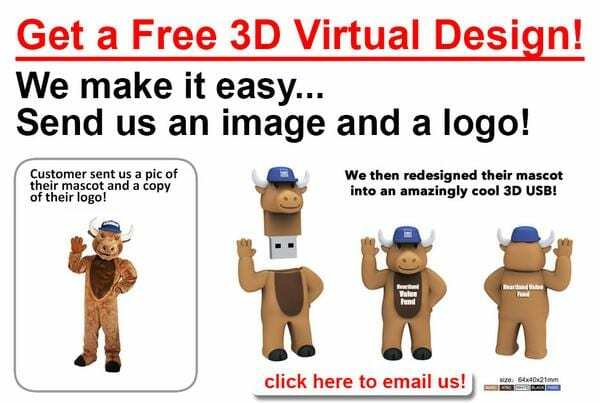 WOULD YOU LIKE TO SEE WHAT YOUR PRODUCT OR IDEA LOOKS LIKE AS A CUSTOM FLASH DRIVE? WOULD YOU LIKE TO SEE A FACTORY VIDEO OF HOW A CUSTOM FLASH DRIVE IS MADE? HERE ARE JUST A FEW EXAMPLES OF OUR MOST RECENT CUSTOM FLASH DRIVE DESIGNS. WE CAN TURN JUST ABOUT ANYTHING INTO A CUSTOM SHAPED FLASH DRIVES. LOW MINIMUMS, AWESOME PRICING. https://promocrunch.com/wp-content/uploads/2017/11/get_a_free_custom_flash_drive_design_grande.jpg 403 600 admin https://promocrunch.com/wp-content/uploads/2019/01/Logoheader1800x130.jpg admin2017-11-16 07:15:222019-04-17 20:39:32LOOKING TO CREATE A MARKETING MASTERPIECE? Meet the next big trend. Promotional Popsockets, Propring and Pop Phone Grips. Popsockets, PropRing and POP Phone Grips. If you are a marketer and do not know what these are you should! Why? Your client is asking for them! It seems that every year there is a new fad or idea that seems to catch the public’s collective imagination. Last winter and into the summer it was the Fidget Spinner and to a lesser degree, the Fidget Cube. In mid 2017 if you were looking for swag for your tradeshow or for your clients business campaign and wanted to get the best possible reaction you chose to put your logo on a fidget spinner. Now in 2018 the hot new trend is Phone Grips. Originally started by Popsocket (of Boulder Co) these collapsible phone grips are now available in a wide variety of styles, shapes and sizes. Want to know more on the original popsocket a good place to start is to read this article on the Popsockets from the U.K.
Are you a trade show supplier or marketing professional? If you are and have not yet figured out what these are and how to incorporate them into your sales pitch or marketing plan a good place to start is to read this article on phone grips for tradeshows. There are new styles of collapsible tradeshow ready POP phone grips available and with a delivery time of 7 days from start to in hands these are fast becoming a “hot item’ in the promotional product market place (ie trade shows, b2b marketing, conference gifts etc). See POP Prices and Selection. 1. Use it as a media stand: Pop phone grips make amazing stands. You can ‘pop’ them for easy use as media stand to watch Youtube, take photos on the phones timer or even use your phone to act as an alarm clock by your bedside. 2. The BEST selfies: The new generation of smartphone cameras no longer need the 3 feet reach of yesterdays dorky selfie sticks. Drop the stick and pick up the Pop’s for the best social media tool. 3. Easy grip while running: Pop’s make holding your phone easier while you are doing various activities like running. 4. Video calls: Simply mount your phone on your laptop while on a video call, allowing you to go hands-free so that you can multi-task. 5. Use it as a media grip: Pop’s make great grips, making activities like taking one-handed selfie, talking on the phone and texting much easier. 6. Earbud cord management: You can wrap your earbuds around your Pop’s to keep them in one place and tangle-free. 7. Grips for Tablets: Pop’s make it easy to hold larger devices such as tablets and e-readers in a secure manner. 9. Gaming: You can turn your phone/ tablet into a joystick by aThre ttaching two Pop’s to the back of it. The Trend is always your Friend! The adage goes like this…”The trend is your friend” and if this is true then this trend which is sparking alight the world of socail media and celebrity gushing will soon and dramatically enter into the the Top 10 status as a “must have” promotional product or swag for 2018. If you would like to learn more or get info and prices call us at 1-888-908-1481 or email us here. https://promocrunch.com/wp-content/uploads/2017/11/square_pop_and_popsocket_style_phone_grip_for_tradeshows_and_promotional_product_grande.jpg 211 600 admin https://promocrunch.com/wp-content/uploads/2019/01/Logoheader1800x130.jpg admin2017-11-13 07:10:402017-11-13 07:10:40Meet the next big trend. Promotional Popsockets, Propring and Pop Phone Grips.